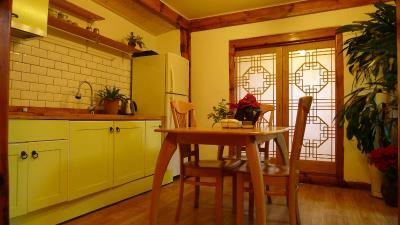 Lock in a great price for Hanok Guesthouse 202 – rated 8.8 by recent guests! The room was heated nicely. 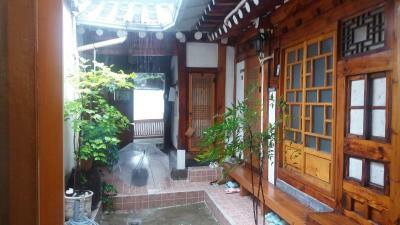 And old traditional house. Everything! 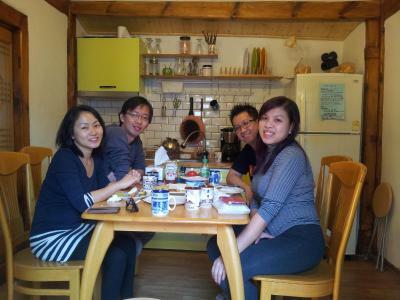 The room and atmosphere were so cozy, warm and pleasant. Unni was so kind and helpful! It was a wonderful place to relax and enjoy a more traditional and laid back day! Host was most helpful when we arrived at the wrong location. She directed us to the correct place and was most helpful. 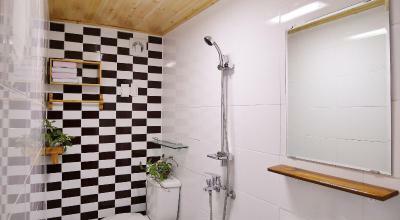 Location is very close to nice cafes and restaurants:) The place is somewhat close to Bukchon area, walking distance to Insadong and near Anguk Station. The station is connected to pretty much what a traveler needs. 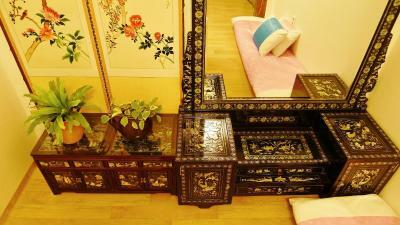 The owner is very engaging, and helped us out a lot. The homemade raspberry jelly was amazing. We arrived in Gimpo airport late at night and Uni the host is so kind to help talk to the driver over the phone in Korean so the driver found the guesthouse without any delay. Uni greeted us warmly and showed us how to get around. It’s so convenient as it’s all in walkable distance to Bukchon Traditional Village, Changdeokgung Palace, Gyeongbokgung Palace, Insa-Dong. It’s only 10 min walk to the subway station and airport shuttle bus stop which made travelling a lot easier and economic. Even though there were shared bathrooms, it was still quite clean. 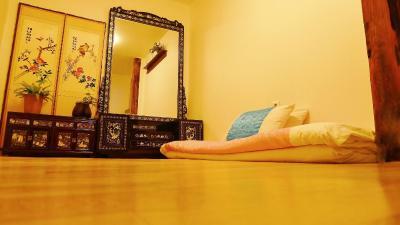 The traditional hanok was a new experience to sleep on the floor traditionally which made it extremely different to live in. 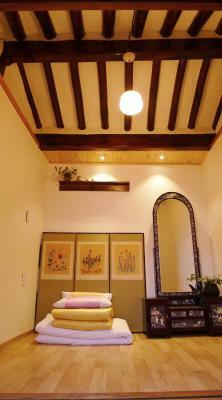 It’s a really lovely experience in a traditional hanok and in such a cosy and clean guesthouse. The floor heating system is great. Host is nice and the place is clean. 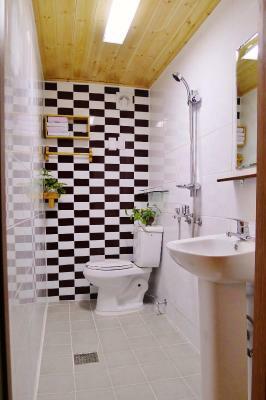 Bathroom and toilet are clean and comfortable. Friendly host, and there are two bathrooms. 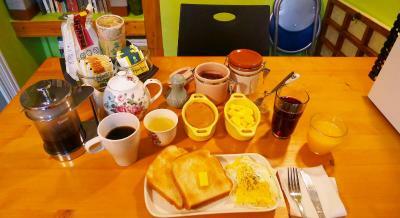 Breakfast is included which takes away the bother of looking for food in the morning, if you are tired. Cute doggies that follow the host around. Good location, quiet neighborhood, clean house n room. The host Uni is a lovely woman she so kind n helpful. 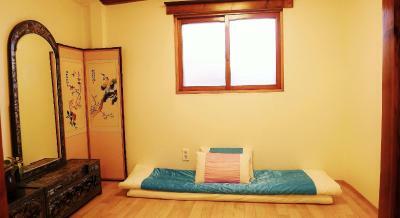 We love her hanok style room with futon it's very comfort. The check in/out process is easy n convenient. One of our best sellers in Seoul! 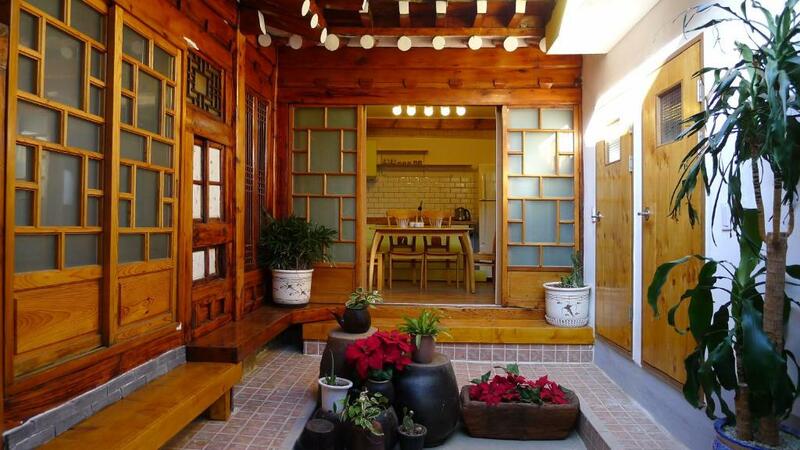 With more than 80 years of history, Hanok Guest house 202 is located in the famous Bukchon Hanok Village east of the royal Changdeokgung Palace. 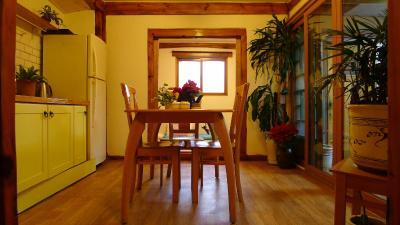 This charming guest house offers free WiFi in public areas and complimentary continental breakfast. 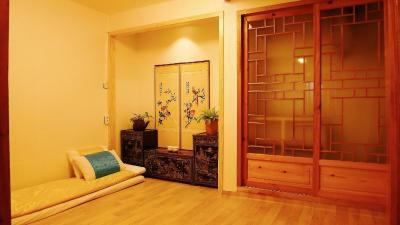 All rooms at 202 Hanok Guest house feature Ondol, Korean heated flooring, and traditional futon mats. 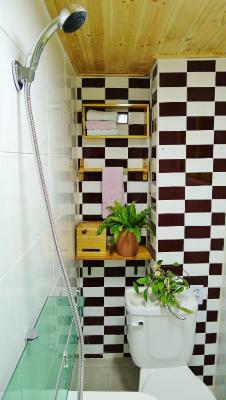 The modern bathrooms are fitted with shower facilities. 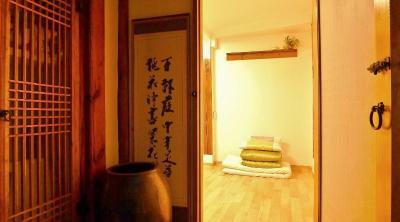 Bathrooms and toilets are shared for some rooms. 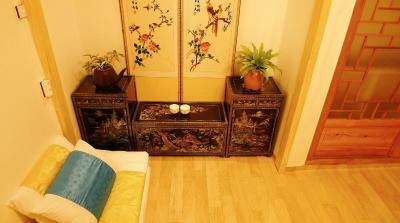 From the guest house, Anguk Subway Station (Line 3) is a 10-minute walk and Insadong Culture Street is a 15-minute walk south. 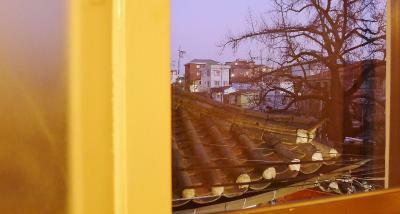 Seoul Station is a 15-minute drive away. 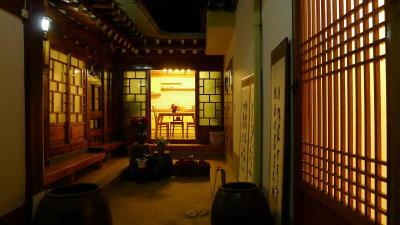 When would you like to stay at Hanok Guesthouse 202? House Rules Hanok Guesthouse 202 takes special requests – add in the next step! 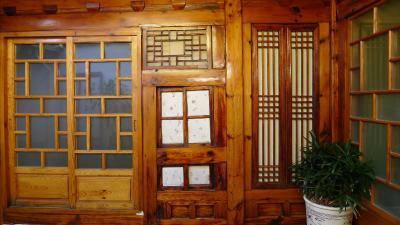 Hanok Guesthouse 202 accepts these cards and reserves the right to temporarily hold an amount prior to arrival. The guest house was up on hill. Had a hard time going up with my luggage. We reserved the room but we were told it was taken and asked us to take another room. 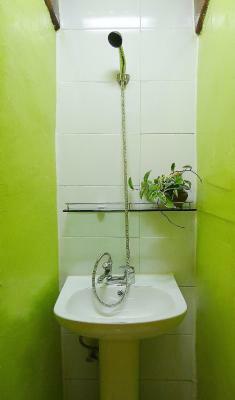 ( and while she was explaining, she said she was being generous to give us attached bed and bath rooms... The lady at the place was kind and trying to be friendly.. but the word she chose was wrong and we had to move rooms since attached bed and bath wasn't ours. Uni is very kind and helpful. She support us a lot during our 1 week stay. 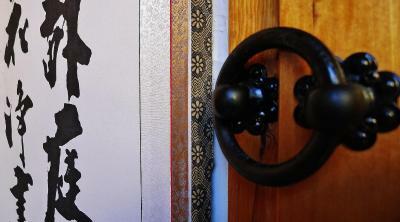 We love her traditional room. It is very comfort. Was everything that I expected! No issue's here for me. Breakfast was self-serve but enough. Rooms are attached to the kitchen though, so if you get one of these room's you can hear everything that people are saying and doing in the kitchen! Wasn't a problem for me, but if other people are inconsiderate I can see it being an issue. Location was great! Everything was lovely! Not a thing I didn't like. 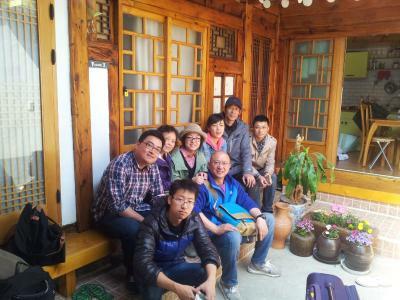 The stay was very comfortable and the owner of the guesthouse was extremely warm and helpful. That made it a happy and memorable stay. Ms. Uni is very nice and friendly. Kids like the room very much. 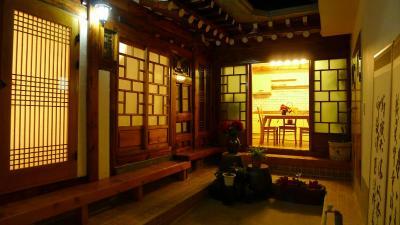 Very good experience of staying at the traditional Korean house. My son is 2 metres high so it was a bit challenge but also a lot of fun in small space :-) but we would recommend to stay in this authentic place. 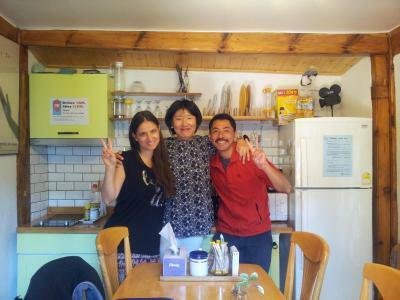 Amazing owner - who takes care and make sure that everything is ok. We enjoyed our stay in such authentic and convenient building and district of Seoul! Thank you! 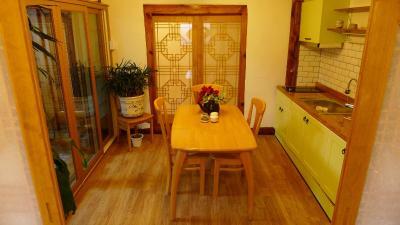 This is a gorgeous guest house, very cosy and well kept. Uni, the owner is very friendly and accommodating. The location is excellent, a short walk from the subway station and there are many small cafés and boutiques in the street leading up to it. Very easy to get around the city from there. 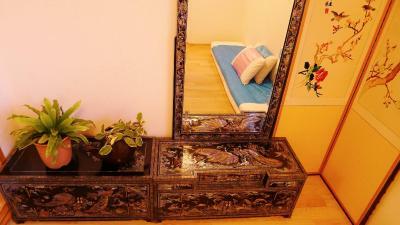 Also, the surrounding is very quiet, which guarantees you a good nights sleep. 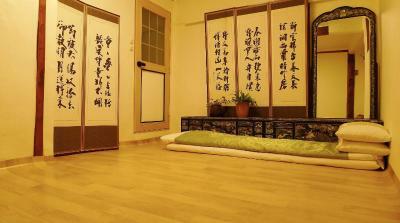 I would highly recommend this place to people who want to experience a traditional Korean home and stay in a place full of character.